The Plymouth Comedy Club is, somewhat unsurprisingly, a comedy club in Plymouth. 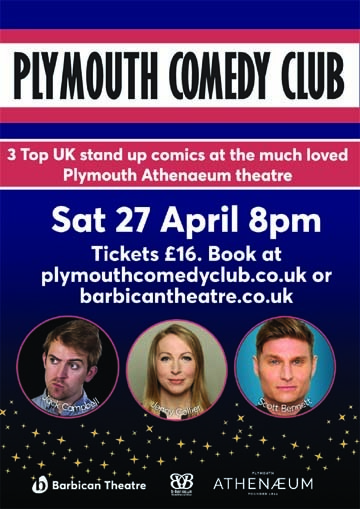 Showcasing three of the finest stand-up comics from the UK & International comedy circuit, it might just be the best Saturday night in Plymouth. Ably held together by resident compère Chris Brooker, it's the perfect start to anyone's weekend. If you want to really make a night of it we also have deals in place with local eateries. Be sure to take a few moments and look through the site.